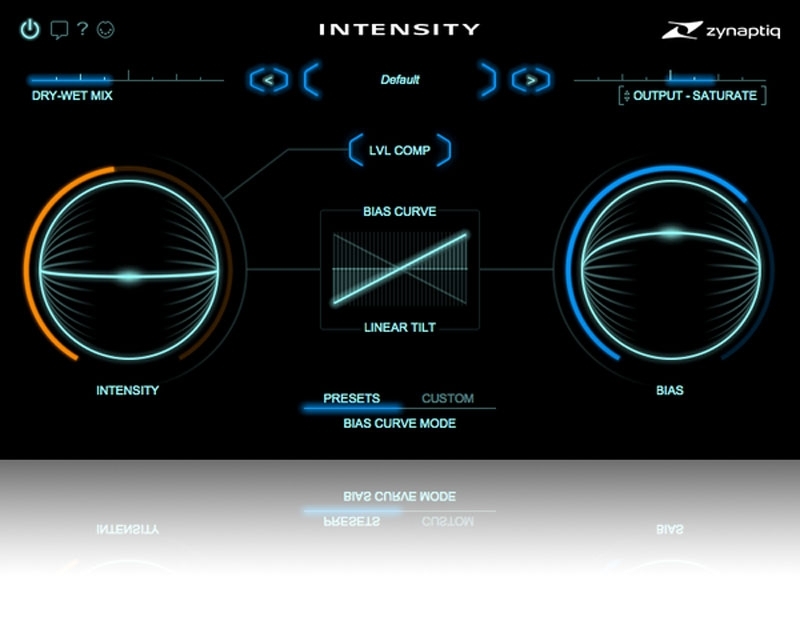 Zynaptiq Master Bundle includes Intensity, UNMIX::DRUMS, and UNFILTER. OK, we'll drop the geek. It's a high-tech thing that makes everything sound way more awesome. Which is why we call it The AWESOME!-Knob in our offices. Put it on everything, all of the time. Be careful, it's highly addictive. UNMIX::DRUMS is the world’s first audio plugin that allows attenuating or boosting drums in mixed music, in real-time. Using advanced source signal separation (a.k.a. de-mixing, unmixing, sound extraction, sound isolation) technology under the hood, UNMIX::DRUMS provides frequency dependent drum level control that ranges from up to +18dB of boost to virtually complete removal* – while always sounding great. Whether used on a full mix or on a drum bus, UNMIX::DRUMS can be used to shape and enhance the impact of your drums in a unique new way. 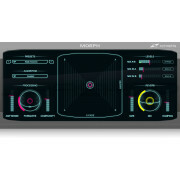 Sporting an intuitive multi-level GUI, frequency dependent control of key parameters, a sample accurate sub-bass (re)synthesizer, our high-precision analyzer display, M/S operation and an output limiter, UNMIX::DRUMS opens up exciting new options for mastering, music production, sample-based music creation, mash-up artists, remixers and DJs. * Actually achievable amounts depend on input signal specifics. UNMIX::DRUMS is your after-the-fact fader for the drums. 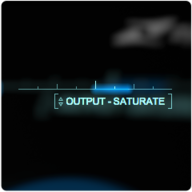 It takes a mixed music input and allows you to change the level of the drums relative to everything else, in real-time. Attenuate the drums to "headphone bleed" levels, or make them sit squarely in your face – the choice is yours. Adjust DRUM LEVEL and THRESHOLD, done. UNMIX::DRUMS doesn't only work with mixed music – you can slap it onto a drum buss, too. 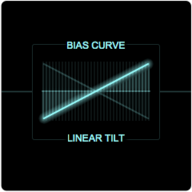 Adjusting DRUM LEVEL frequency dependently - using our slick breakpoint editor in the CURVES view - lets you shape the impact and punch of your drums like never before. 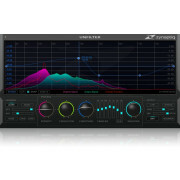 Without touching a compressor or transient processor, and even if they're inside a full mix. We call this impact equalization. As drum punch connoisseurs, we're proud to say: It's simply awesome. 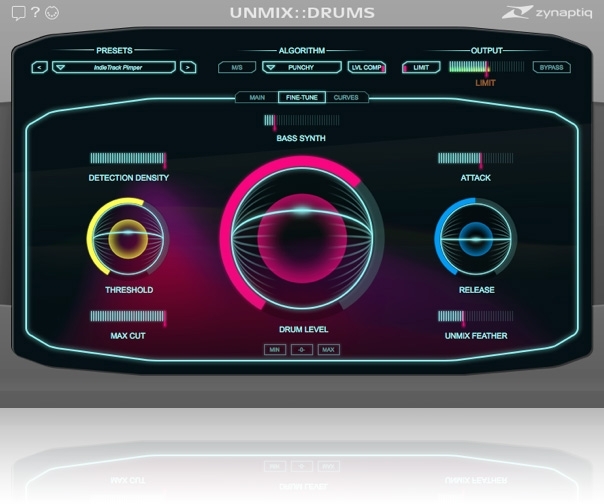 Speaking of punch: UNMIX::DRUMS offers two boost modes, SMOOTH and PUNCHY. 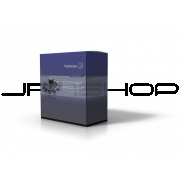 The SMOOTH mode was designed with a dry, organic sound in mind, for natural sounding medium boost situations, as well as pre-processing for drum extraction applications. PUNCHY produces a very snappy, tight sound that can really make the drums jump at you. Both modes allow boosting the drum reverb, too, SMOOTH focusing on early reflections and PUNCHY on long reverb tails. 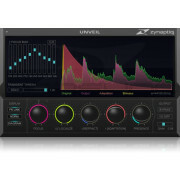 UNMIX::DRUMS features the world's first and only sample accurate sub-bass (re)synthesizer. 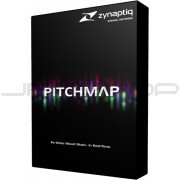 Adding punchy and clean low frequency energy to your music or drums has never been easier. Simply raise the BASS SYNTH slider to taste – no level instabilities, false triggers or phase cancellation included. Whether subtly extending the frequency range on a jazz master or creating earth shattering club beats of woofer destruction, the onboard BASS SYNTH delivers – with minimal effort. So what is this plug-in for? In a nut-shell: creating unheard new sounds and smooth, sonically pleasing transitions that are different from the cookie-cutter crossfade approach. 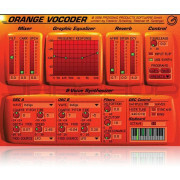 Create creature voices by combining speech with other sounds, apply the features of a drum loop to a sustained pad, transition from one ambience or SFX to another with surreal intermediate stages, or or create hybrid rhythms or instruments. MORPH 2 is available for a variety of formats. 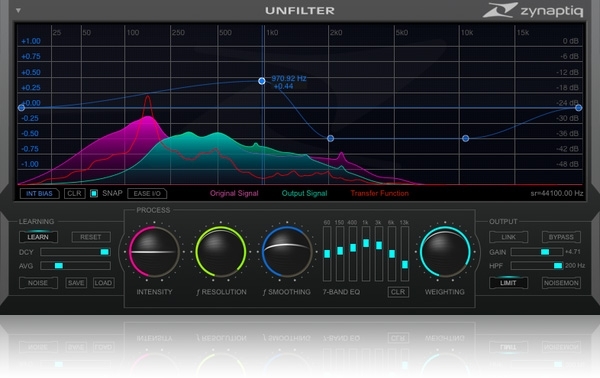 UNFILTER is a real-time plug-in that removes filtering effects, such as comb filtering, resonance, or excessive equalization – effectively linearizing the frequency response of a signal automatically. UNFILTER can also apply a detected filter response to another signal, or export it to disk as an impulse response, and can even perform mastering grade adaptive, free-form, and graphic equalization. 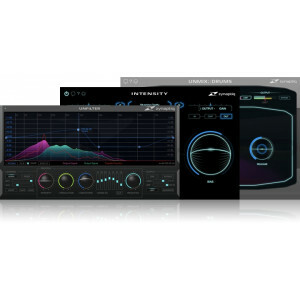 Whether you're in music production, film post, game audio, broadcast, sound design, forensics, or engineering – UNFILTER makes time-consuming and often impossible tasks as effortless as adjusting one control. Automatically detect and remove resonances, equalization, roll-offs and the effects of comb filtering from musical, location, dialog and surveillance recordings. Apply the measured filter response to other signals to place them in the same "acoustic world". 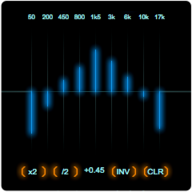 Export the measured filter response to or import it from a linear- or minimum-phase impulse response file (WAV). Mastering grade adaptive, free-form and graphic equalization. Extremely steep 96dB/octave shelving high-pass filter. Output limiter for unsupervised use in batch processing applications. UNFILTER automatically detects resonances, EQ or filter effects – essentially any frequency response anomalies that aren't part of the original signal. You can then remove these by simply adjusting one control, leaving the rest of the signal virtually untouched. As a result, previously problematic or unusable recordings can be made to sound good, and good recordings to sound great. In real-time, and with minimal effort, Zynaptiq-style. 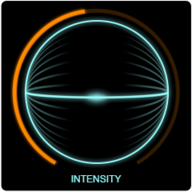 You can also apply the measured filter response from one recording to another – placing the two in the same acoustic "world". Or you can create room-tone to fill editing gaps, by applying a measured filter response to noise. You can of course also store filter responses to disk as linear- or minimum-phase impulse response files, building a library of "colors" to have at your disposal any time. Whether you need to make ADR blend with production dialog, get one guitar snippet to sound like part of another, or create new sounds, UNFILTER makes this task fast and easy. 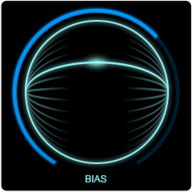 UNFILTER is also an EQ. Three mastering grade EQs and an excellent high-pass filter, actually. For one, its (un-)filtering engine can function as an adaptive program equalizer that continuously adjusts itself while the audio is playing. This helps maintain a balanced spectrum when working with audio that changes over time, for example when streaming mixed music in broadcast applications. Secondly, UNFILTER sports a free-form EQ with various curve interpolation modes, from super-gentle slopes, through narrow notches, to brickwall steps. Thirdly, we added a streamlined 7-band graphic EQ for good measure. And finally, there’s a super-steep 96dB per octave shelving high-pass filter that removes low frequency rumble so efficiently you’ll forget that there was ever anything down there. How does UNFILTER do all that? Technically, it performs a real-time blind de-convolution, a cutting-edge technology rarely found even in the most advanced of research institutes. Fortunately, we don't do lab coats. This technology allows UNFILTER to take a close look at your audio, estimate what happened to its frequency response, and then create a filter that will undo the process. Sounds like rocket science? That's because it is. But all the technology in the world doesn't matter if it's difficult to operate or doesn't sound good. Well, UNFILTER is a breeze to use, and doesn't just sound good...it sounds amazing. The UNFILTER UI is so fast and easy to use that corrective EQ can often be done within seconds by adjusting just one of our super-slick trackball sliders. And for advanced customization, every single function and control has been engineered with painstaking attention to detail – finely-tuned for optimal workflow and results. Whichever control you move, the right setting is never far away. UNFILTER is not only a life-saver, it is also a time-saver par excellance.